We have had some unexpected early growth and there will be a small harvest of a limited supply of English and French bundles. Please contact me (at gardengirl.perry@gmail.com or (303) 514-6504) if you are interested in purchasing a bundle locally. 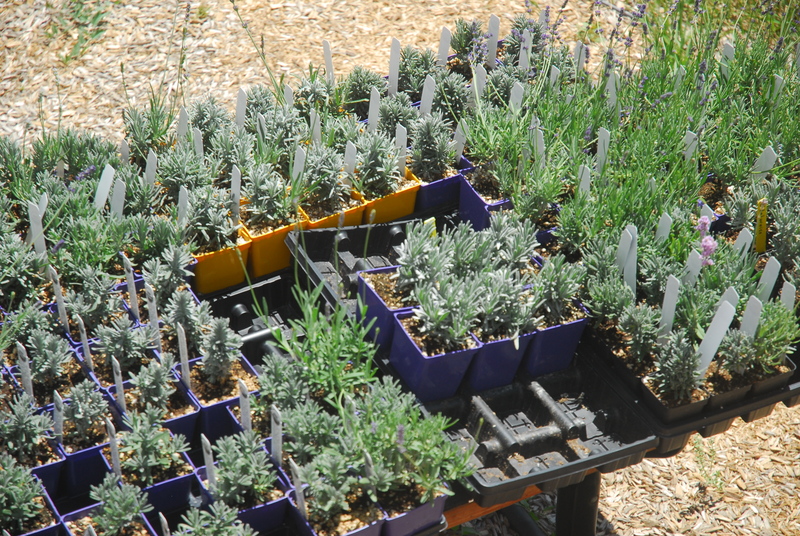 The lavender plants have been in the ground 40 plus days and are flourishing. Dirt (technically it is well amended soil), water, sunshine, lots of TLC and the growth rate is surprising. 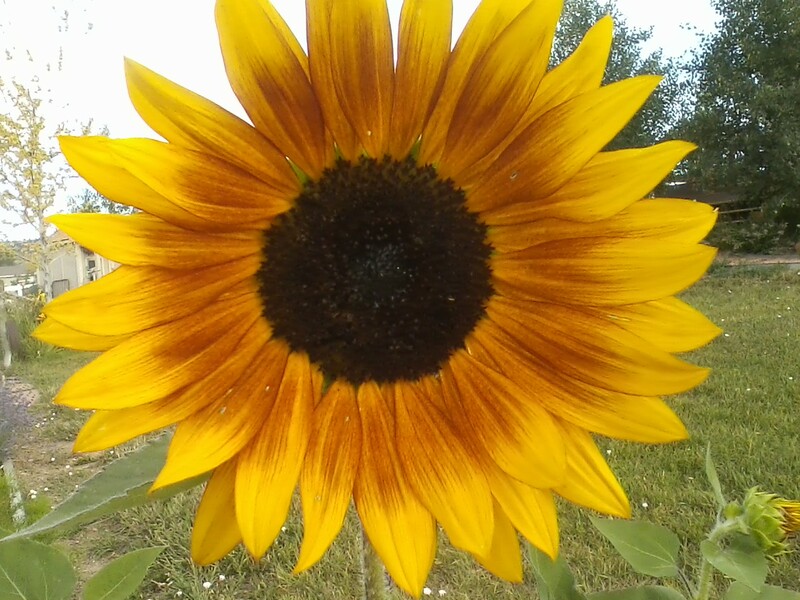 It is recommended that the spikes be removed the first year of planting in order to push the energy toward root development, but the plants are so hardy and full of energy they just keep sending up spikes. 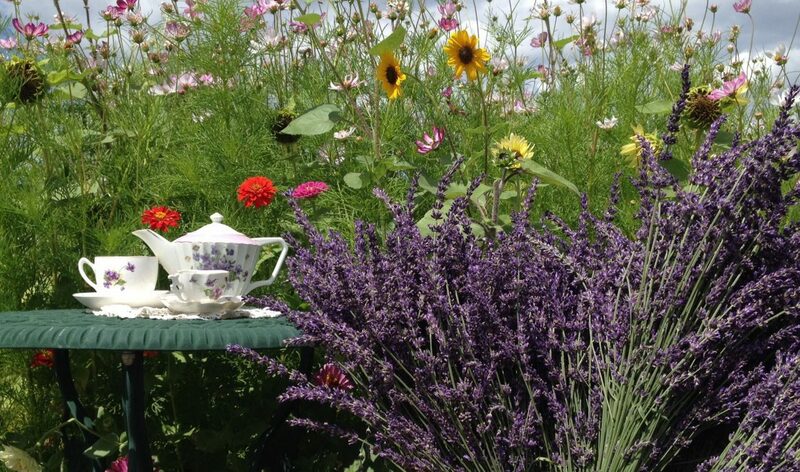 Knowing that pruning lavender is essential to its survival I try to keep up with the removal of the spikes, but oh how I long to just let them grow. I have cut back the spikes 4 separate times, but now have decided to give the plants the freedom they desire and just let them grow! 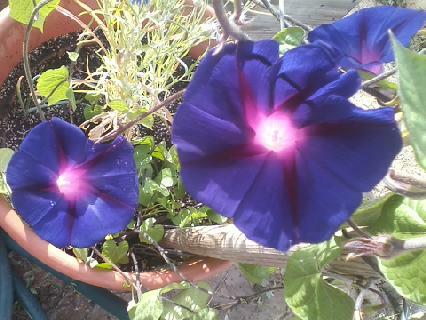 I try to tell myself cutting the spikes will be worth it. But will it?? I am anxious to see the results of this research project about keeping the spikes unpruned being done in Palisade, CO. The pictures below show the growth difference between day 1 and day 41. 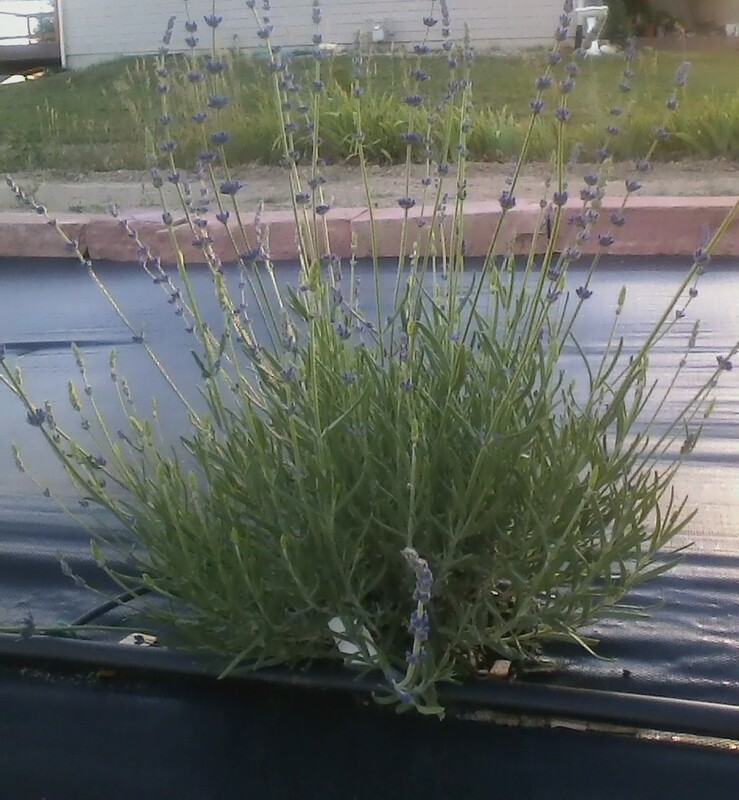 Buena Vista (L. Angustifolia-English Lavender) 41 days after planting, August 11, 2013. 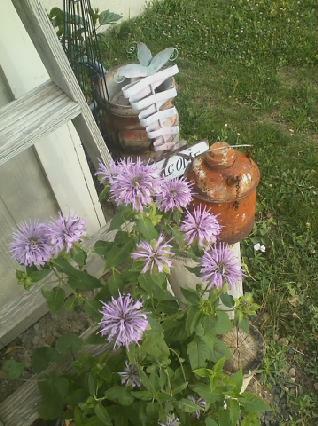 Buena Vista is a good for culinary use as well as fragrant long lasting dried bouquets. 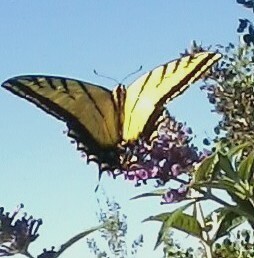 Here are a few other pictures of flowers from our gardens near the lavender patch. 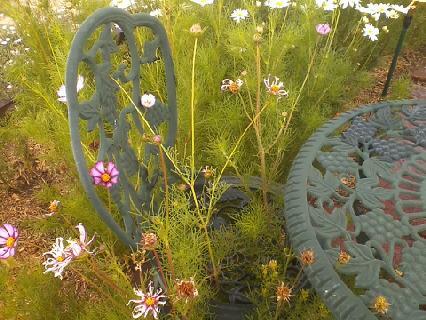 Cosmos growing through a chair, proof gardeners never sit still.